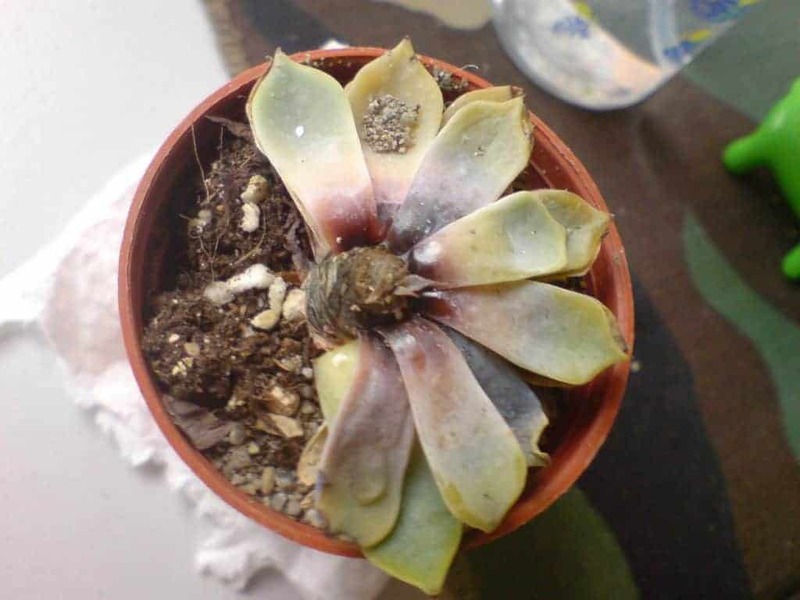 Despite their reputation as the easiest plants to care for, sometimes succulents seem like they don’t even want to survive. Don’t fret – they are actually quite simple once you get the hang of things. The problem is that there exists a lot of bad habits and advice about how to keep succulents. You can thank Pinterest for that. Avoid these 5 common mistakes and your succulents will thrive. You heard me right. 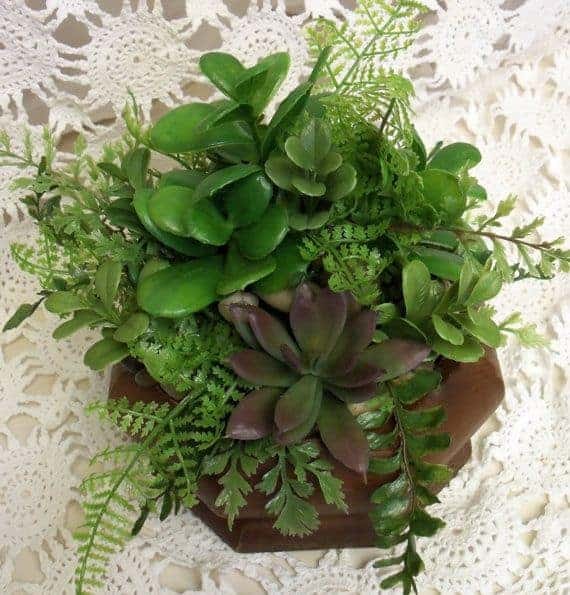 Succulents don’t belong in any container that doesn’t have drainage. I’ll say it again: No succulents in terrariums. There are two reasons that these alternative pots are a poor choice for succulents. Partially-closed containers like terrariums promote humidity. Containers without drainage dry out much, much more slowly. The common element between those two reasons is that the soil stays wet for a long time. That’s bad because it causes root rot, which succulents are particularly susceptible to. Contrary to popular belief, succulents don’t mind lots of water. They actually love water… if they get it all at once and then dry off. It’s the difference between taking a shower in the morning and standing outside in the rain all day. Succulents require fast-draining soil and containers that actually have the ability to drain. Does adding gravel at the bottom of a pot constitute drainage? No. 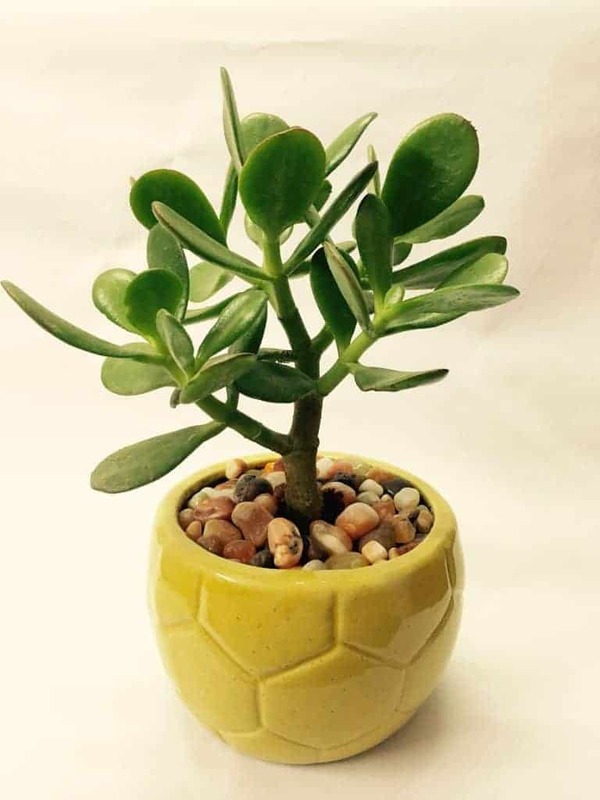 Is it possible to care for a succulent in a container without drainage? Yeah (and here’s how), but it’s not recommended.Choose a nice pot, ideally terracotta, that has adequate drainage at the bottom. Planting in anything else is asking for trouble. This one goes hand in hand with sticking fat plants in terrariums. I think people mist succulents because they think the plants aren’t supposed to get a lot of water. That is horribly misinformed, however. Misting might actually be the worst way to water a succulent. 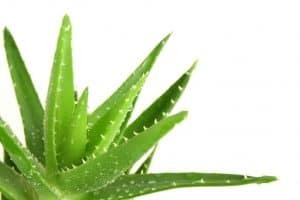 Succulents need to be thoroughly drenched at infrequent intervals (for a detailed guide on watering, check here). Misting a plant just gets the leaves and the top layer of soil wet. Practically none of the water actually makes it to the roots. It does wet the soil though. Which is bad. Another PSA: Airplants aren’t succulents, despite being often being grouped together. A succulent is a plant with adaptations to store water – most air plants don’t do that. Some are drought-tolerant, like succulents. People like to mist airplants (although the jury is still out on whether misting or bathing them is better). Save the spray bottles for epiphytes. Plant arrangements are adorable, there’s no doubt. And, to be fair, succulents really do look good when they’re paired with some moss or ferns in a little fairy garden. Buuuut those aren’t generally long-term living situations. Succulents have radically different environmental preferences from other plants. Basil starts to wilt after, like, 6 hours without water (or that’s what it feels like). Likewise, moss needs to be in an environment that is perpetually moist. Being constantly wet is a succulent’s worst nightmare. There is no way to reconcile those differences – one of those plants is going to die. Even within the succulent group, it’s hard to create arrangements. Some of the plants want water every week (like Kalanchoe or many Crassula). Try to water a Lithops every week and it’ll survive for exactly 2 weeks. The best way around this is to use plants with a similar range of tolerances. You can also mix in some other drought-tolerant plants that aren’t succulents (like the Wandering Jew plant). It’ll take some experimenting, so don’t get used to the arrangements! We’ve already mentioned that succulents need both a container with drainage and fast-draining soil. So how do you know if the soil is fast-draining or not? Well, instead of pouring water through it and counting how many seconds it takes to run out the bottom, we examine the soil composition. The optimal soil for succulents and cacti is one with very little organic matter and lots of large particles. 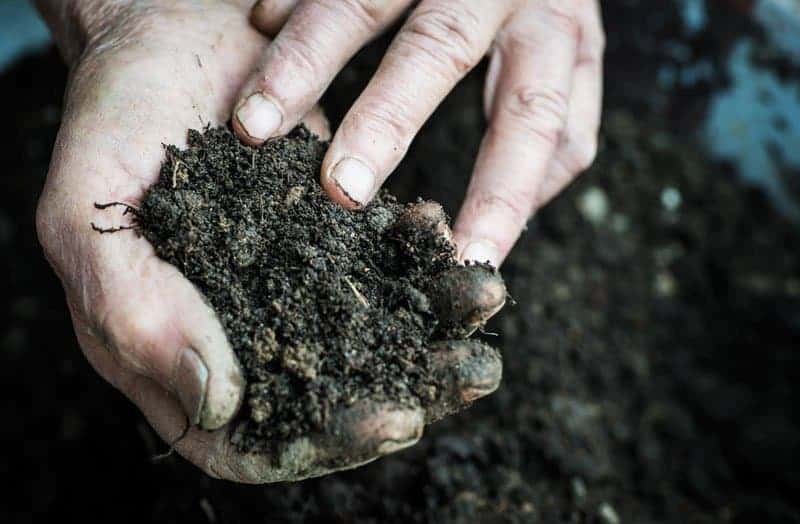 Most potting soil contains a significant amount of peat moss – a type of organic matter that’s primary purpose is to retain water. Yeah, that’s exactly the opposite of what we want. We want the water to drain out as quickly as possible. You’ll want to cut out as much organic matter as you can; another common offender is coconut coir. Inexplicably, commercially sold cactus soil mixes still usually contain peat moss (looking at you, Miracle Gro). Those are an acceptable starting mix, but I recommend amending them with some inorganic component with large particle sizes. Inorganic basically means minerals. Rocks in some form. Avoid actual rocks or gravel, though, because they’re too big. Sand is generally too small. Go for something in the middle such as perlite (NOT vermiculite). Everyone has their own soil recipe. Here is the Sublime Succulents recipe. In a pinch, a 50/50 combination of soil and perlite will get you started, although it’s far from perfect. 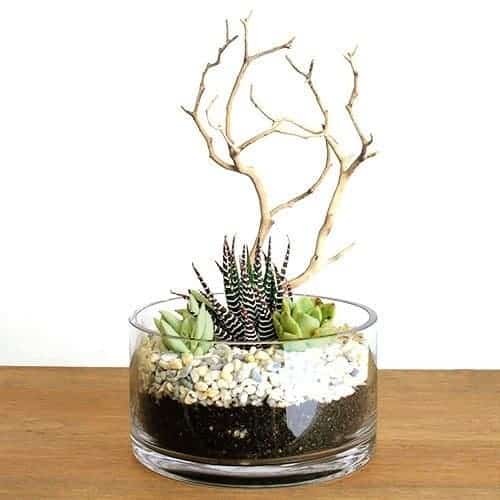 Succulents have become a staple of modern minimalist design. 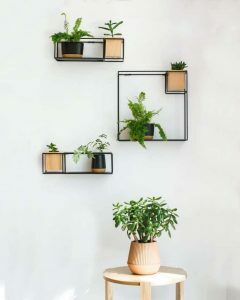 It’s a natural fit since the plants are simple and elegant. However, interior decorating guidelines generally don’t allow for cluttering windowsills with houseplants. It’s silly, I know. Minimalists especially. But succulents need all the light you can give them and more! Tucking away a little Echeveria on those floating shelves in the corner of your living room is just asking for them to die… or worse, become etiolated. Etiolation, colloquially referred to as stretching, is a plant’s response to not getting enough light. It’s not reversible either. Once that plant gets leggy, that’s how it is – forever. Your only recourse is to behead it and let it grow again from the stump (which is a nice perk of succulent plants). Give your succulents as much light as possible by keeping them outside, on a south-facing windowsill, or by using a grow light. Alternately, if LEDs don’t fit into your desired aesthetic, try going for some of these low-light succulents. They’re a great solution for keeping succulents indoors.